Semidefinite programming (SDP) is now a well-established discipline in mathematical optimization. It can be viewed as an extension of linear programming to the cone of positive semidefinite matrices. SDP has a wide range of applications in information technology and engineering sciences, mostly due to the fact that SDP problems can be solved efficiently with widely spread software relying on interior point methods. The workshop aims at reporting latest achievements in the area, with a focus on numerical algorithms for control theory, combinatorial and global optimization. 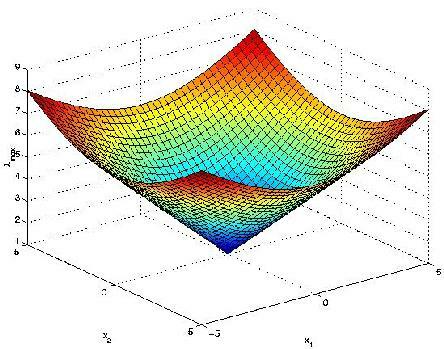 SeDuMi - Matlab package to solve optimization problems over self-dual homogeneous cones. Written by Jos F. Sturm, Tilburg University. Version 1.05. SeDuMi Interface - User-friendly Matlab package to declare and solve LMI control problems with the SeDuMi solver. Written by Dimitri Peaucelle, LAAS-CNRS Toulouse. Version 1.04. YALMIP - Yet Another LMI Parser, user-friendly Matlab interface to a number of semidefinite solvers (including SeDuMi). Written by Johan Löfberg, Linköping University. Version 2.1. GloptiPoly - Matlab/SeDuMi add-on to build and solve convex LMI relaxations of the (generally non-convex) global optimization problem of minimizing a multivariable polynomial function subject to polynomial inequality, equality or integer constraints. Written by Didier Henrion and Jean-Bernard Lasserre, LAAS-CNRS Toulouse. Version 2.2. Regular workshop fee of 50 euros, and reduced fee of 20 euros for students. Registration includes lunch, coffee breaks and the workshop CD-ROM with SDP software. Main conference hall (salle de conférences) of LAAS-CNRS, Toulouse.